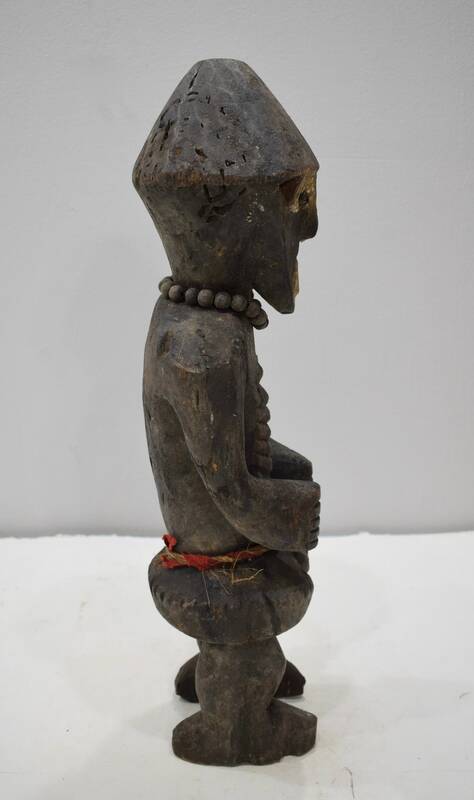 This is a wonderful Carved Wood Lega Figurative Statue with Beads and Cord from the Democratic Republic of the Congo. 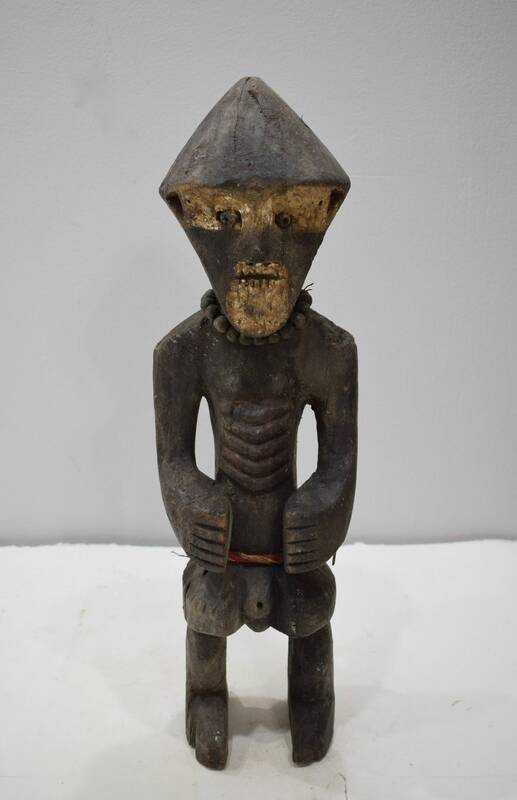 The Lega people are among Africa’s best known carvers and artists. 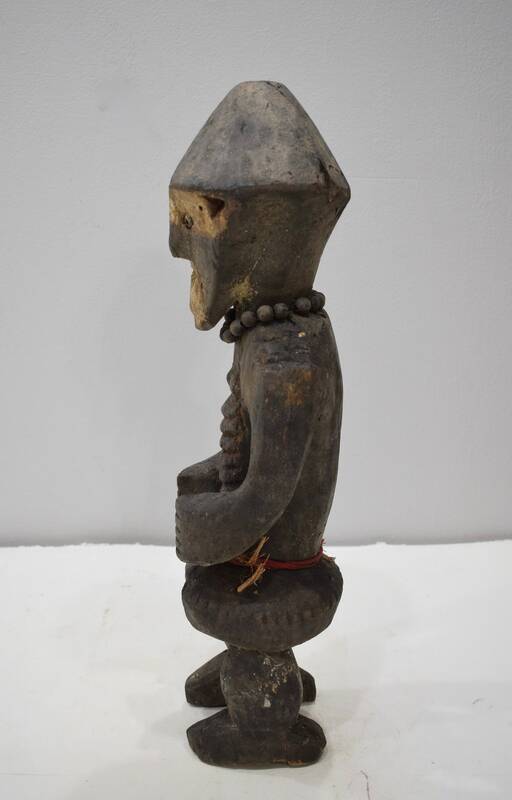 Lega sculptures are usually carved in a highly distinctive style, with a heart-shaped concave face with a slightly bulging forehead, slit nose with a beak-like base. This faces was highlighted through the use of white pigment. 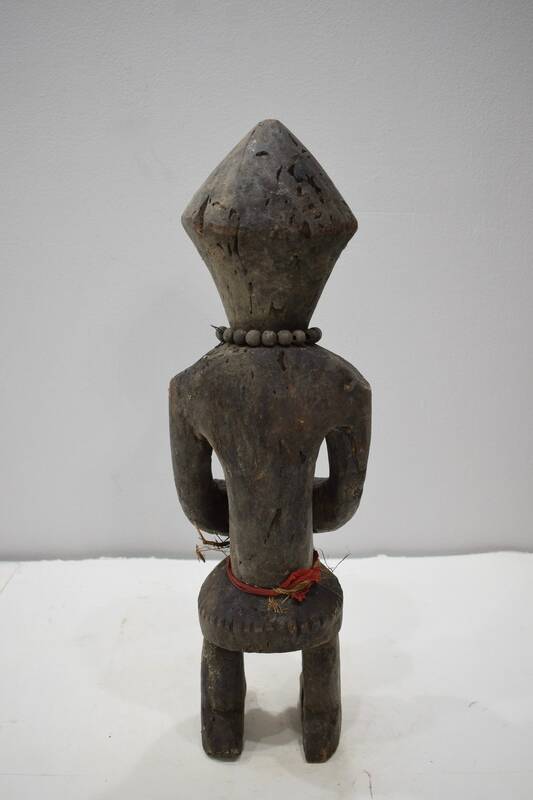 This Lega statue would be a fabulous addition to your collection or home. Shows age, has discoloration, encrusted, but in good condition.